For a communications company, building and strengthening relationships are central to business. 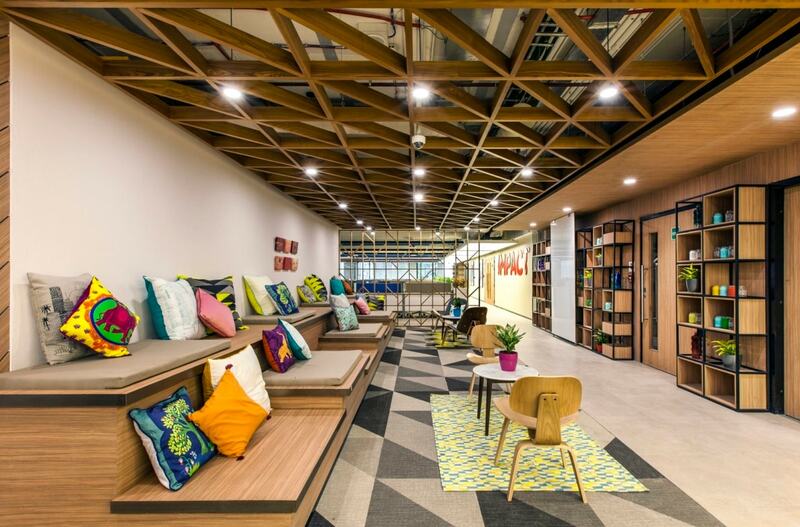 When global communications agency, Weber Shandwick, moved to a new office in Gurgaon, India, the company wanted the office interiors to boost collaboration and build strong connections among employees. 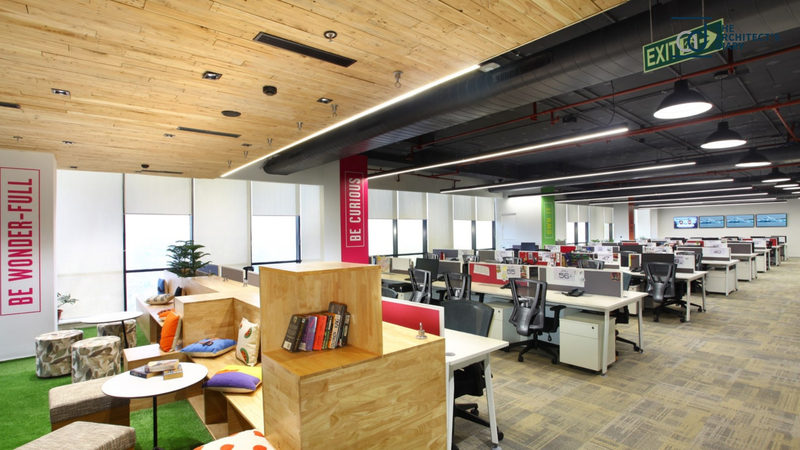 The 11,000 square feet office space in Gurgaon’s Cybercity, designed by Space Matrix, exudes a positive vibe that lives up to the company’s business goals and people expectations. 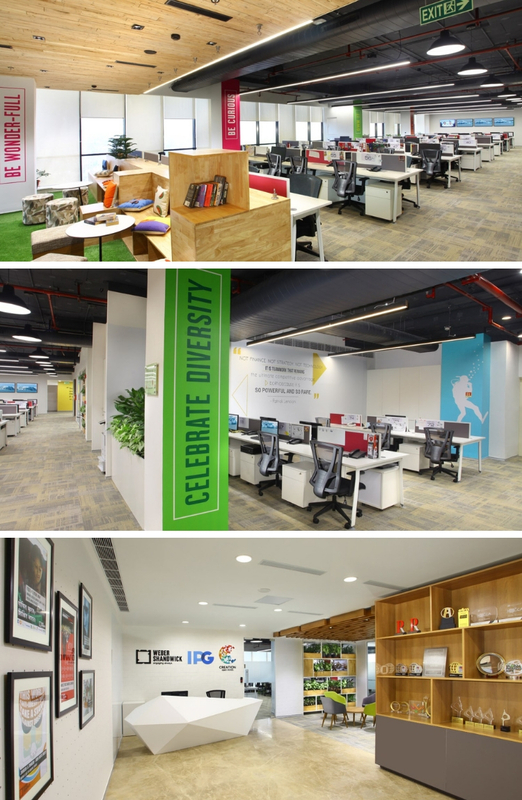 The new office, being at the heart of Gurgaon’s business district, provides more visibility to Weber Shandwick. The company now expects to better showcase its work to attract new business and talent. 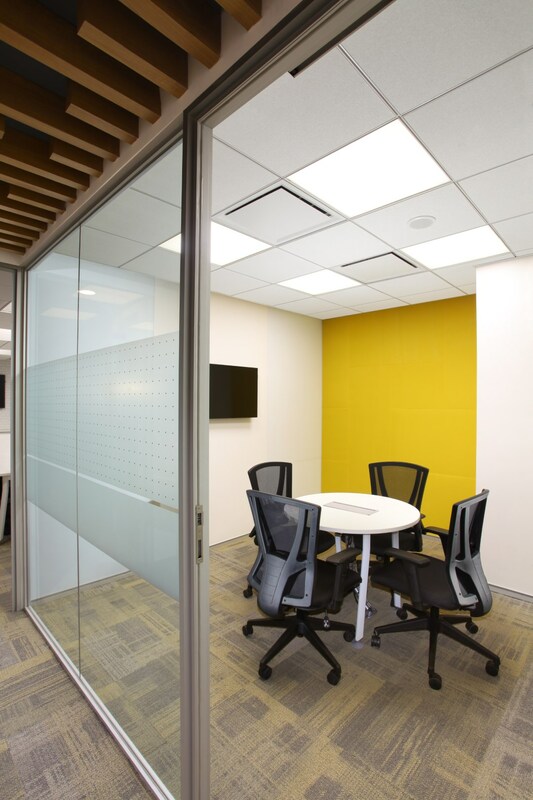 Space Matrix used contemporary design best practices to create a workspace that promotes employee engagement and a sense of ownership. Employees can now exercise choice and improve their well-being. Ideas take shape when people have opportunities to meet and discuss them with others. 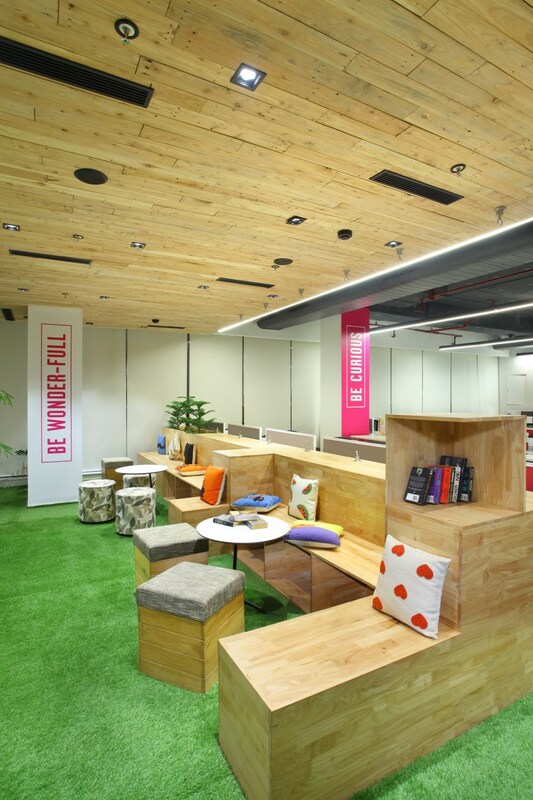 Space Matrix has created collaboration spaces close to workstations, which are informal work areas for Weber Shandwick employees to conduct spontaneous brainstorms. 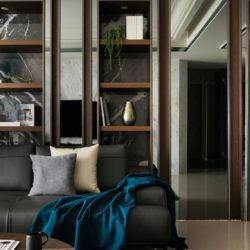 For those who want a quiet space to think, there are places where they can disconnect from the rest of the office and focus on their work. 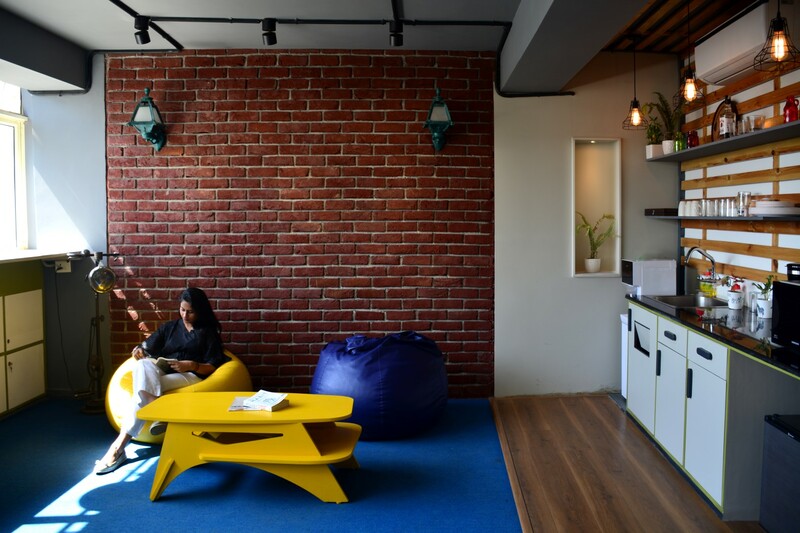 The café is not just a place for gatherings but also where employees can play video games or unwind for an after-work drink. 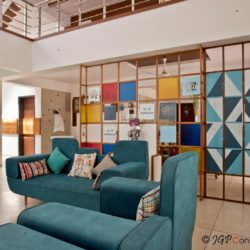 A café wall that runs a campaign – “Picture abhi baaki hain” (that loosely translates to “there’s more to come”) – is often a conversation starter. The wall features photos clicked by employees for a fortnightly best photo competition. 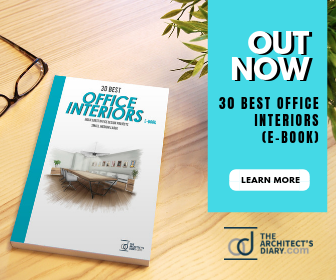 The workstations have been designed in such a way that they are placed along the glazing, thus providing ample natural light throughout the day. Natural light adds a sense of well-being to the workplace and helps in promoting health, happiness and productivity at work. 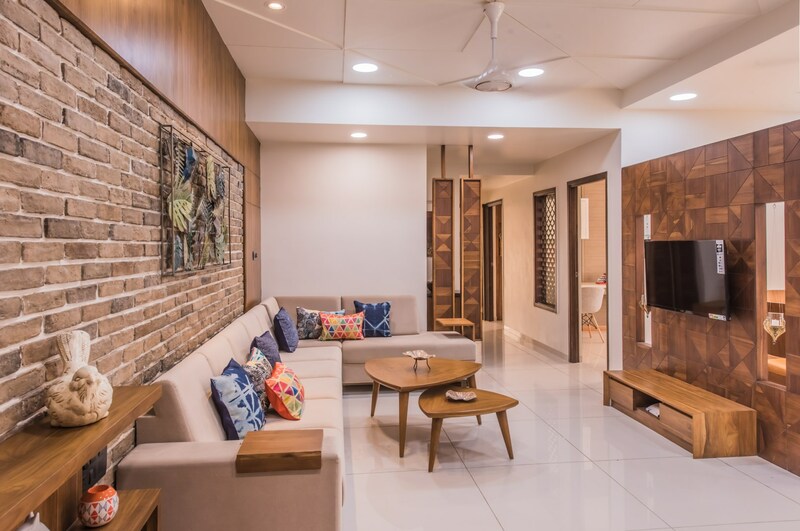 The bustling business district where the office is located is also conducive to employee engagement, providing them avenues for leisure activities such as eating out and fitness close to the workplace. 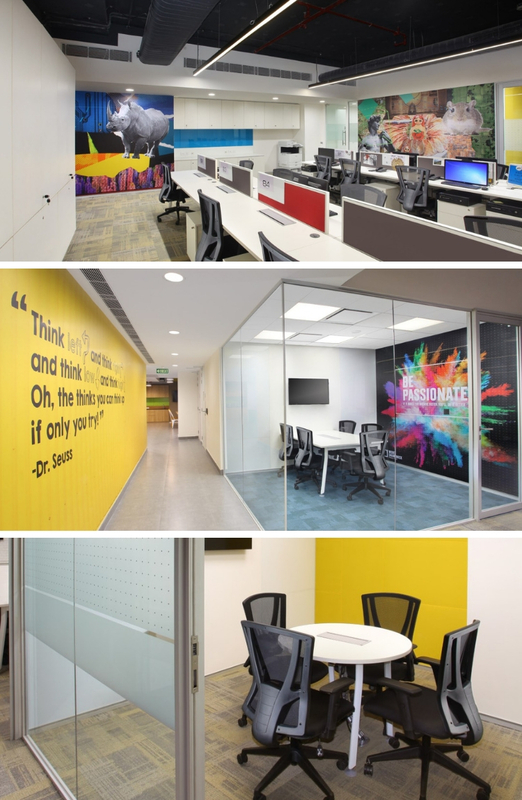 An important aspect of Weber Shandwick’s design brief was to showcase its people-centric ethos through branding across the office. For example, meeting room walls display giant graphics with corporate slogans. There is also a full wall that showcases the company’s successful campaigns. A campaign wall at the reception features ongoing campaigns. Visitors also cannot miss the wall of fame at the reception area which features company awards and other achievements. It serves as a constant reminder to employees of the organisation’s high bar for excellence. On the boardroom walls are picture frames that display the company’s clients. All these elements reinforce Weber Shandwick’s core identity of being a people-driven, creative company. Being part of the media industry means that Weber Shandwick attracts young, creative talent. 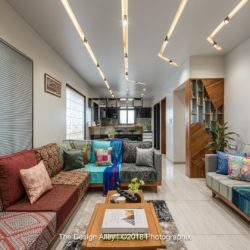 To make it visually appealing to the young set, Space Matrix has given the interiors a bright look with quirky elements such as a stepped seating area with vibrant cushions and brightly coloured books. There are huddle spaces with tripod lamps and weaved poufs for an intimate setting. 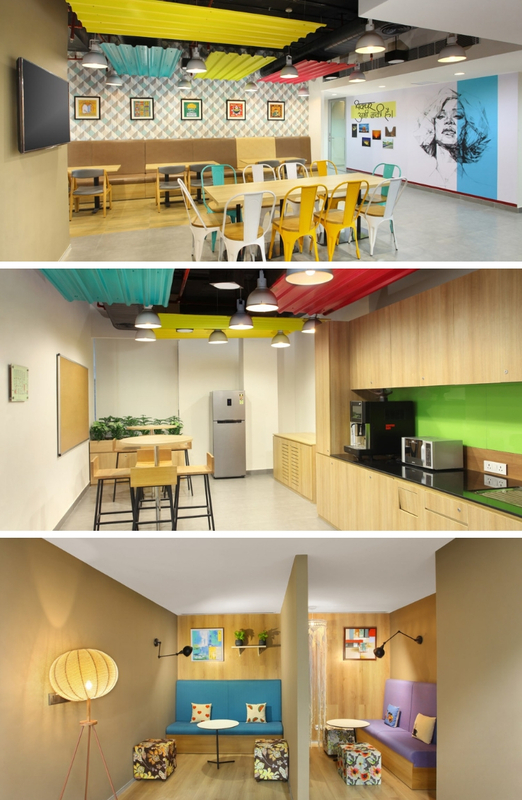 The cafeteria has a vibrant ambience with an Xbox and music system, an LED screen and a bar. 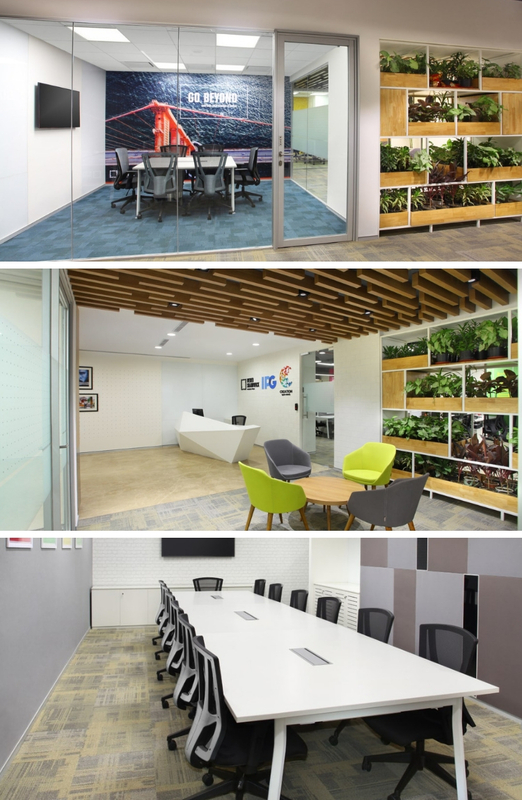 Green zone – Employees can take the benefit of natural light whether they are at their workstations or in the stepped seating or collaboration area. Workstations face the glazing, thus minimising the use of artificial lighting. 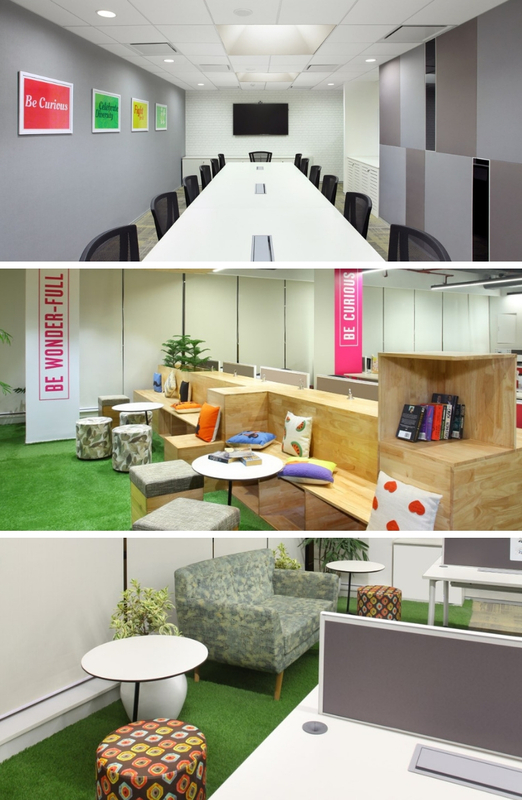 Huddle spaces – Nooks that accommodate 2-3 people for an intimate discussion or quiet work. These are placed conveniently next to meeting rooms where smaller groups can get together for a quick discussion. Recreation area – A cafeteria with a bar and music system, a dedicated area to play an Xbox game and an LED screen for all-hands meeting provide leisure at work. This future-ready office is tech-enabled with wireless AV connectivity and a video wall that displays live feeds or news. However, the zones can be modified depending on changing needs. For example, Weber Shandwick has the flexibility to add more workstations along the green zone to accommodate more employees in the future. The stepped seating area can be removed if required and fitted with workstations instead. With these changes, the current 95-seater office can create space to accommodate 10-12 additional people when there is a need. 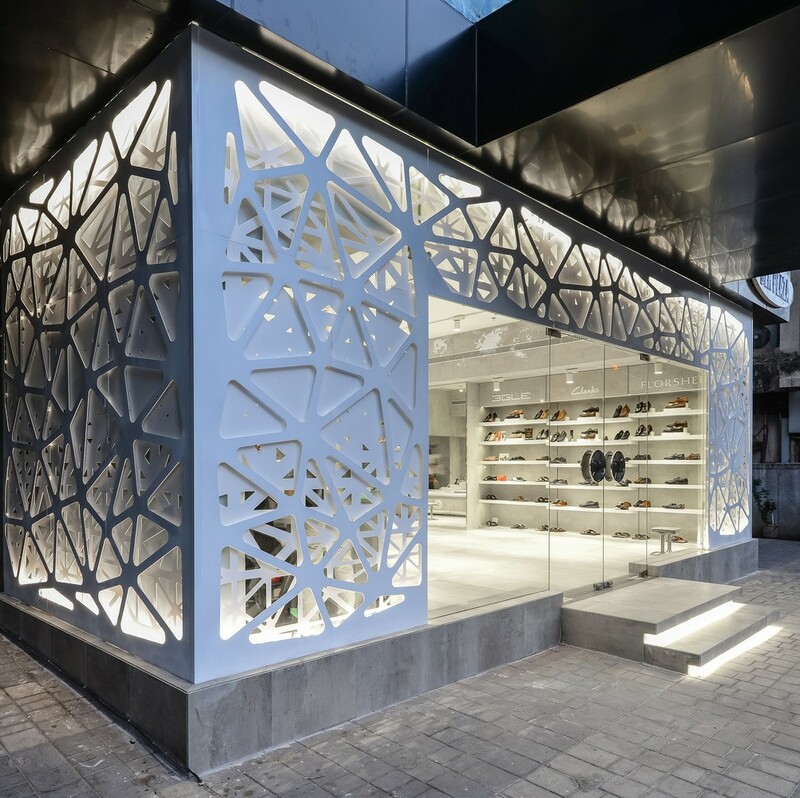 This entry was posted in Interior design, Office and tagged contemporary, Interior design, minimal office design, modern, office, office design, office interior design, office interiors. Bookmark the permalink.